I get invited to my fair share of events these days. I guess part of it is due to the fact that this blog has been around for a while and some figure that it merits attention. Or, more than likely, I live only two hours from New York City and inviting me is a relatively low-cost venture. Virtually every week, as far as I can tell, there is some sort of tasting in the city, and during the Spring and Fall, there are usually multiple tastings every day. In the past, I turned down far more of these events than I attended since even though Philly is relatively close to New York, it is still takes a bit of determination and time to get up there (and I do have a day job, after all). My approach has been slightly different these past six months or so as my family and I will be moving to Texas this July. And Texas is not two hours away from New York City. Usually, tastings are held between 12-5 during the week so I head up the I-95 corridor for the day, coming back on a late train or, increasingly, bus. It is not that bad a trip as I am able to get a bit a work done during the journey. A few weeks ago, however, I was invited to an Oscars Party hosted by Piper-Heidsieck. If you start doing a little of the math: there would be a lot of champagne to drink, the Academy Awards start in the evening and usually don’t end until midnight, and there would be a lot of champagne to drink. The following day (Monday), I was also invited to the Kosher Wine and Food Experience (KWFE) at Pier 60 along the Hudson River. At first, I had no intention of going as my view of Kosher wines was not at all favorable. And that is being kind. While in College, I was really good friends with our basketball team’s manager. He was Jewish and lived just outside of Washington D.C. I would often go down to his house for the High Holidays, particularly after I started teaching in Baltimore. I spent so much time with his family that I learned quite a bit of Yiddish, developed a strong affinity for traditionally Jewish food, and I eventually earned HMOT status (Honorary Member of the Tribe). Well, that is not entirely true; I did not have an affinity for all Jewish fare. Gefilte fish is rather nasty and Kosher wine was pretty awful. My adopted father of sorts, insisted that there was always a bottle of Manischewitz on the table. Manischewitz was not represented, but there were some that were almost as bad (OK, not quite…). That was until I attended the KWFE. The event featured hundreds of different wines, with nearly every major wine making region represented, including at least a half-dozen champagnes. Which is where I started. Naturally. I eventually made my way around the room, hitting most of the French producers, many of the American makers, stopped in Spain, and a couple from Israel. That’s Laurent-Perrier behind the hordes of tasters. First: not all Kosher wine is horrible (although there is still some pretty bad stuff out there), in fact, in many cases it is virtually indistinguishable from the non-Kosher equivalents. Second: the food served at the event was fantastic. About a third of the room was dedicated to food and there was everything from chili to beef to ice cream being dished out. Third: making Kosher wine is quite the undertaking for a mainstream winery. As soon as the fruit comes in, only Sabbath-observing Jews are allowed anywhere near the process. In fact, the winery has to have a dedicated room and equipment for its production and winery personnel are not even allowed in the same room as the fruit/wine until after bottling. This means that the winemaker and all those involved in the production of the wine have to be brought in to perform even the most mundane tasks. The food was crazy, crazy good. Reason enough to go. I spent a bit of time talking with Menachem Israelievitch, the chief winemaker for Royal Wine, who lives in Paris. He makes all the European wine in the Royal portfolio, which includes a white Sancerre, a Provençal rosé, a red from the Loire, six champagnes, and a rosé and seven reds from eight estates in Bordeaux. And that’s just France! That is a large reason that Kosher wines tend to run $10-15 more than their non-Kosher equivalents: every time anything needs to be done in the winery, they have to bring the labor in, usually from Paris (there are not a lot of sabbath observing Jews living in Bordeaux, Champagne, or Provence apparently). Imagine poor Menachem’s harvest for a moment (well, clearly, he is not poor in the financial sense) over the course of maybe six weeks, he oversees production at close to two dozen wineries in ten different regions in four countries. Third, only those approved by the rabbi could serve the wine at the tasting. The winery representatives in attendance were allowed to move unopened bottles but once it was time to pull the cork, it was hands off. The official pourers would take your glass, rinse it out with water, turn their back to you, pour the wine in the glass, and then hand the glass back to you. For every pour. Many (most?) of the pourers were clearly not “wine people” which normally would not be a big deal (since there was a winery representative to talk about the wine), but clearly those opening the bottles of champagne needed a bit more practice–I saw them douse the crowd several times. Honestly? If I am anywhere near New York next year for the Kosher Wine and Food Experience, I will do all that I can to attend. The food is great, many of the wines are outstanding, and there is no Manischewitz in sight. And I am pretty sure it will serve to renew my HMOT status. This entry was posted in Kosher Wine, Wine. Bookmark the permalink. Jeff that was very interesting, honestly I had never even thought about wine being kosher or not. Honestly, I never thought that much went into it…. I have not tried it either (the wine, not the Gefilte fish, blech!). 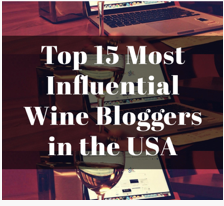 Nice – I’m interviewing my first Kosher winemaker now…geek on! Indeed! The kosher winemakers must be pretty talented as they have to do their best to mimic the winemaker of the non-Kosher wine! Yeah. That Manischewitz stuff is rather nasty…. Your blog has opened some interesting, fun doors for you. BTW, it’s a beautiful day in Houston. I am really glad I decided to go–one of the more interesting tastings I have been to in a while! Most of what you see in the States is white, but red Sancerre (Pinot Noir) can be quite tasty…. Interesting! I’ll have to look for it! I would love to, but the wife keeps saying “nope.” She can be a real party pooper, that one…. Bummer maybe next year, those are 2 great events! Yeah, I miss the Sea Otter!